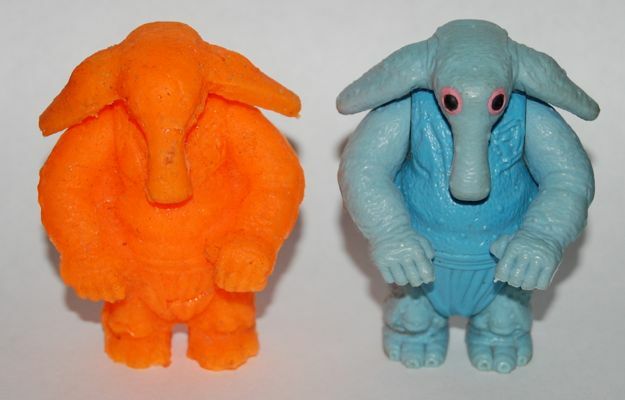 I wrote about some Mexican bootlegs of vintage action figures last year, and while they were pretty crappy, in many ways this is a step down from those figures. Yes, the other figures are terribly painted and have limited articulation, but at least they’re actual figures. 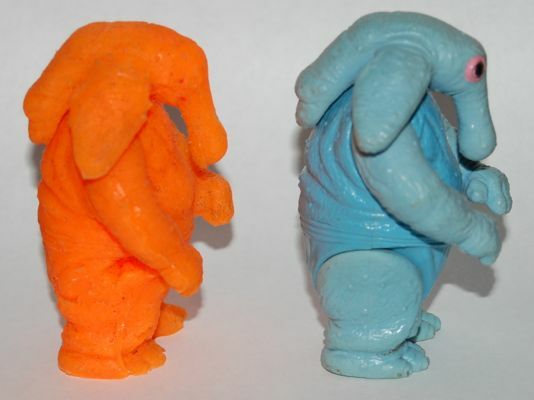 This is really just a blob of soft rubber in the shape of Max Rebo. It’s soft and spongy — kind of like silicone. Needless to say, it’s not painted and has no articulation. I don’t know much about it, like when it was made or if it was really intended as a kids’ action figure. I have seen another one like it in another collection, though, so it wasn’t just a one-off experiment that somebody made. I have no idea why they decided to go with orange.